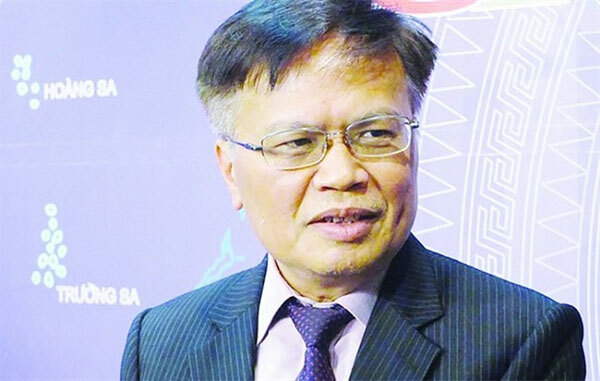 VietNamNet Bridge – Nguyen Dinh Cung, director of the Central Institute for Economic Management, talks to Hải Quan (Customs Online) online newspaper about Vietnam’s efforts to improve its business environment in 2019. Can you tell us how the business environment in Vietnam has changed since the Government issued Resolution 19 in 2014? The achievements made over the past five years as reported by Government offices and agencies do not truly reflect what has been going on at many enterprises. There are still big gaps between reports and reality. For example, Government agencies claim they have successfully streamlined many business conditions to enable enterprises to operate more easily. However, in reality, slashing business conditions is almost meaningless to many enterprises. The most important thing is for the Government to facilitate conditions for enterprises to do business. What should the Government do to help enterprises improve their competitiveness in accordance with Resolution 02/2019/NQ-CP? There are two important things the Government should do to help enterprises improve their competitiveness. First, the Prime Minister should give an administrative order to all Government agencies to help enterprises in case they ask for help. Second, all local public agencies should be pro-active in supporting enterprises in need. The number of disputed contracts and enterprises going bankrupt is at its highest in five years. What should the Government do to improve this situation and help enterprises increase productivity? If we want to improve the business environment, we have to improve these two indicators. Disputed contracts are not something new. But how to solve the dispute in order to satisfy both parties is very important. This is still an open question without an answer right now. Regarding the indicator on the number of enterprises declaring bankruptcy, we must find a good mechanism to settle this issue. As far as I know, the Government has instructed the Ministry of Justice to co-operate with courts and agencies to improve and reform these two indicators. We hope with active involvement from the Ministry of Justice and courts, business conditions in Vietnam will improve. These two indicators are essential for a market economy. If Vietnam can’t improve these two indicators, I’m afraid to say Vietnam will not become a member of ASEAN 4. What are the new points in Resolution No 2 that will take the Vietnamese business environment to a higher place in 2019? Resolution No 2 doesn’t have specific tasks and measures for each ministry/sector; it defines specific indicators/targets. Resolution No 2 states clearly that all ministers have to take responsibility for the performance of their ministries/sectors. First, continue to simplify business conditions. Second, to improve inspections in all economic sectors with a focus particularly on customs procedures. Third, to apply electronic payment for all public transactions/services. Fourth, to develop an innovative ecosystem for entrepreneurship and innovation.